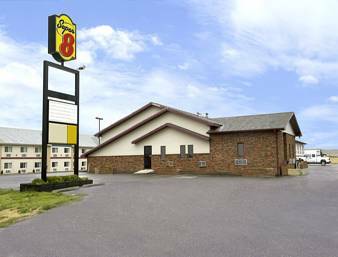 The Glendive, Montana Super 8 is located in Northeast Montana. Property is just off of Interstate 94 Exit 215. The property features 51 rooms, Super Start Breakfast, Free Wireless Hi Speed Internet, Movie Rentals, outside outlets, large pull thru RV and Truck parking. Full service restaurant is next door and a Casino is just across the street. Attractions nearby include Yellowstone River fishing, Makoshika State Park 3 miles, Gateway Museum 3 blocks and downtown shopping 1 mile.